DIMENSIONS: 21.87" from Ceiling to Bottom of Light (with 4.5" Downrod Included); Weight 27.12 lbs. The classic style of the Crestford paired with the uniquely shaped light fixture is a perfect finishing touch for your outdoor location. 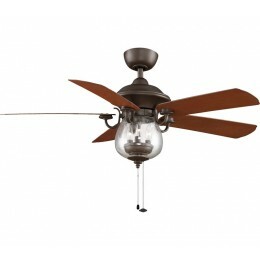 This oil-rubbed bronze fan complete with cherry/walnut all-weather composite blades is rated for wet locations. 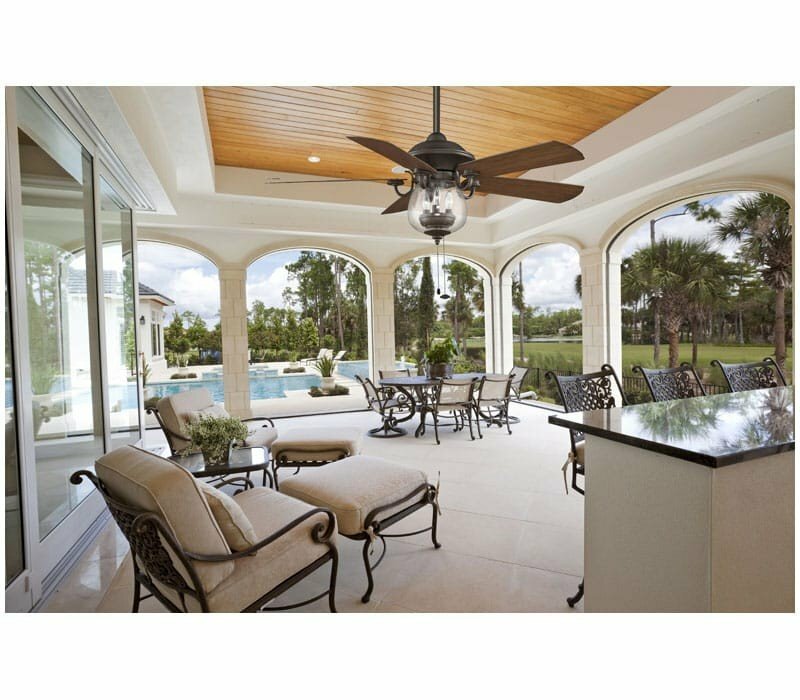 With the option of using this fan in dry, damp or wet locations, you are sure to find just the right place for this exceptional fan. 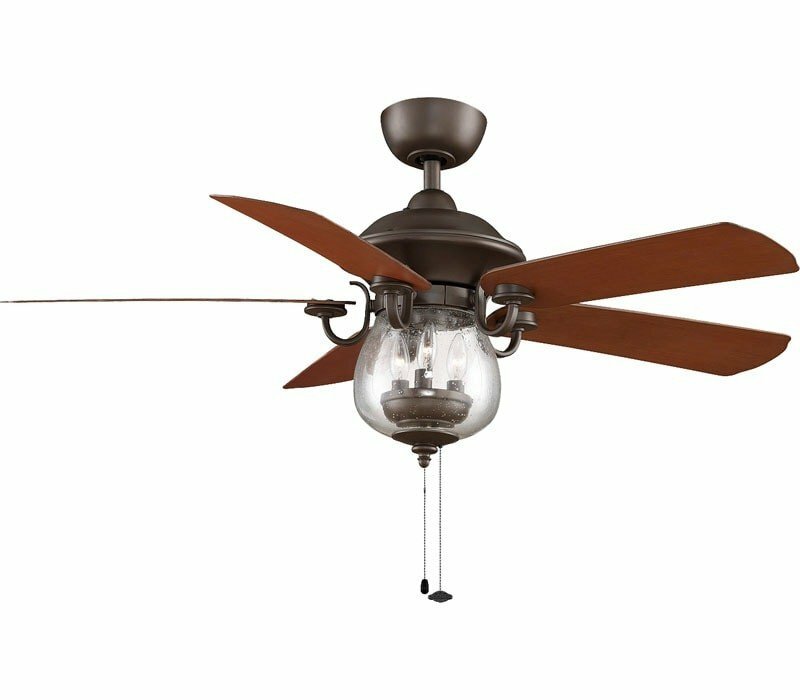 The blade sweep measures 52 inches, and this ceiling fan operates at three forward and reverse speeds. All Fanimation motors are protected by a limited lifetime warranty.